This course will explore ways partners get caught in patterns of subtle and blatant deception. It will use fun stories from real couples and examples from research to examine how cognitive and emotional processes cause blindness and rationalization, and distort couples’ perceptions. This course will identify research-based strategies to increase trust and connection, and professionals can use this information to identify and appropriately address issues related to self-deception and honesty in the individuals with whom they work. Irritating the Ones You Love explores how “unconscious” reasons control so much of our choices and behavior in relationships—the hidden reasons we are drawn to particular partners, and how, unknowingly, the past affects our reactions in present situations. 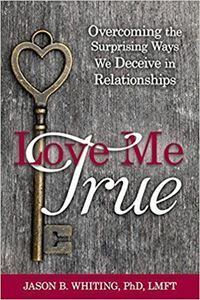 This book provides tools to help readers uncover the hidden influences on them so that they can choose partners for the “right” reasons, grow as human beings, stop making the same mistakes when issues arise with their partner, and make their relationships more intimate and happy.